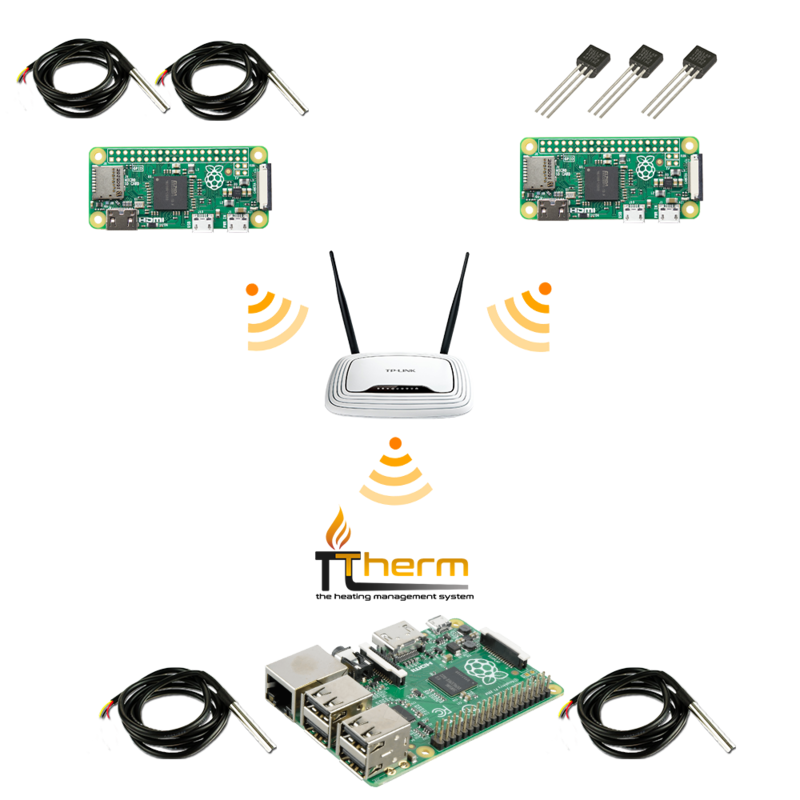 The new version of PiTherm (v60910w1 and higher) supports retrieving temperatures from other raspberry pis over a home network. You can simply build a ‘wifi temperature probe’ by using Raspberry Pi Zero W (or any other version). It will extend the distance and eliminate a need of long wirings for temperature probe DS18B20. Connect a temperature probe DS18b20 to Raspberry Pi according to connection diagram. Insert the SD card into the raspberry pi and boot it up. The Raspberry Pi checks temperatures every ‘interval_v‘ seconds. If absolute difference between last transmitted temperature and current temperature is higher than ‘threshold_v‘, the raspberry pi amends the value by ‘dif_v‘ and sends it to the ip address ‘ip_v‘. Hit Ctrl+X to exit and then ‘Y’ to Save the settings. Ctrl-X to save the amended file. 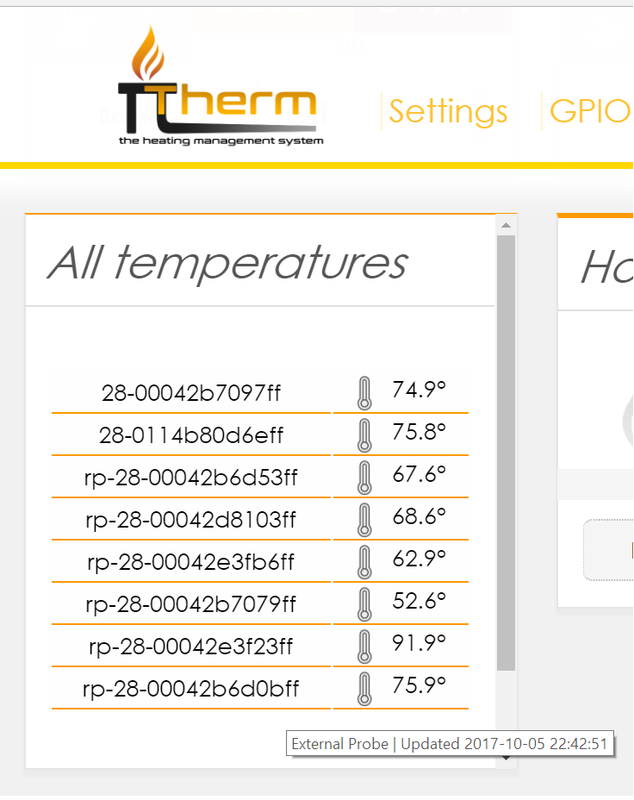 After rebooting, all new temperature probes with the prefix “rp-” should be displayed in the PiTherm. Note: Pi Therm requires each wireless probe to send data at least once per 12 minutes, otherwise, the temperature probe will be deleted from the PiTherm.